It is almost impossible to escape the fascination of breeding horses if you have been caught by it. 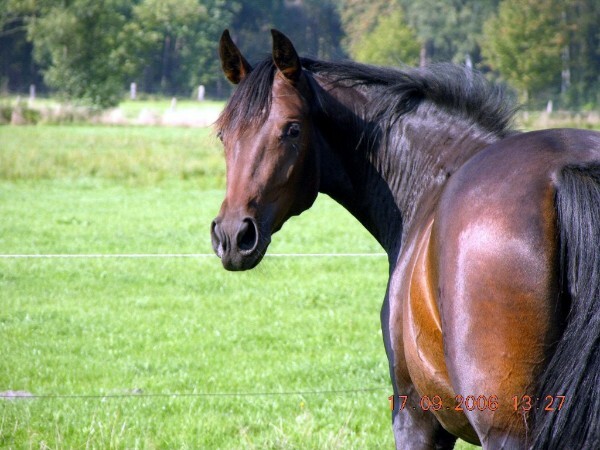 The Clüver-family from Völkersen has always been breeding Hanoverian horses, starting with Heinrich's grandfather and, above all, with his father Heinrich Clüver sen. The Hanoverian trademark stallion DON CARLOS, the Olympic champion in Seoul 1988 SHAMROCK (Team Event Gold Medal) and other top-class Verden auction and later successful competition horses come from this breeding site. Every breeder has his own philosophy - we all aim to breed healthy horses that show off excellent or even exceptional dressage or show jumping skills. This is certainly necessary and important to sell horses and to ensure that horse breeding turns out to be profitable. We prefer horses that are excellent to ride, easy to handle, preferably also with more Thoroughbred influence, for they are pleasingly sensitive and beautiful. And they should of course display excellent character and be familiar with humans as on a farm like ours, we live close together with all our animals. Our tap-root mares SAGA and CAPRI are the dams of approved stallions and successful competition horses. And we are, of course, convinced that for the years to come, as excellent horses will be born on our farm. We love and live everything else breeding implies, from choosing the suitable stallion to handling and schooling the youngsters. 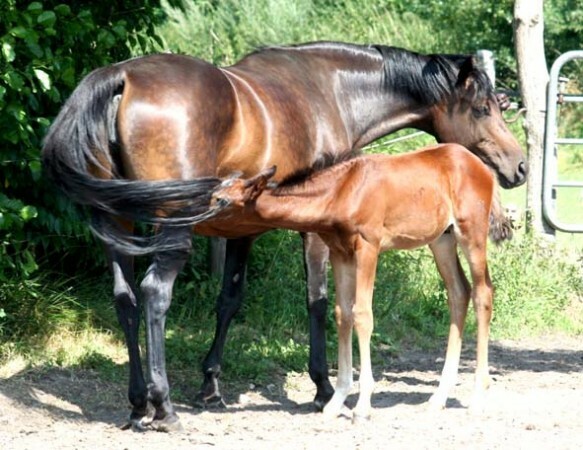 We pay lots of importance to imprinting and to raising our foals gently, but with the necessary consequence so that later, they can be easily loaded or treated by vet and farrier. We mostly succeed pretty well, and it is of course easier if you start as early as possible. Depending on their physical and mental development, our own horses - unless sold as a foal - are carefully started and trained resp. prepared for tests and/or sale. We give them all the time they need, and we assess each horse’s quality and scope at each stage of development individually. Should it be necessary, we do not hesitate to allow them additional time to mature!